My old digs! Section 331, row 14, seats 1 and 2. I miss them so. This year is going to be really difficult without regular tickets, but I have to keep reminding myself that when I get back into the workforce, it’ll all be gravy. 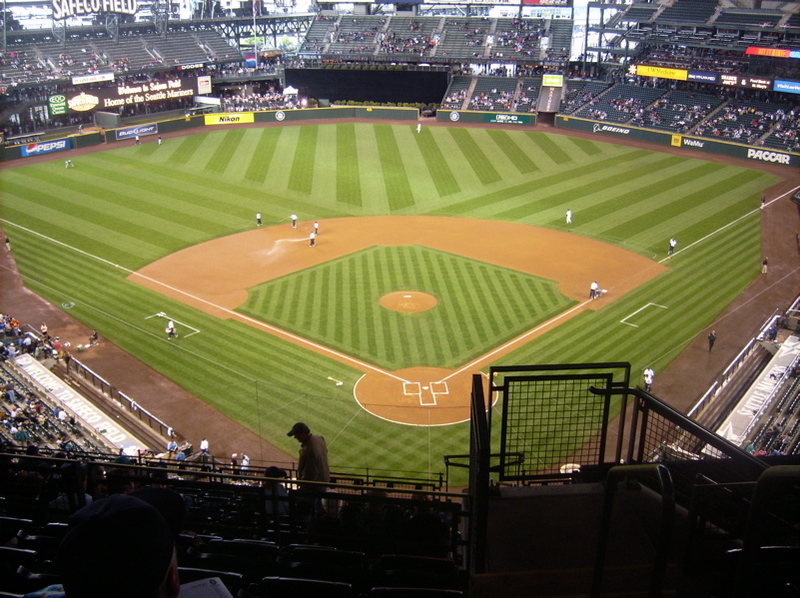 Section 323 was fun and all last year, but I’ll always have fond memories of these seats. 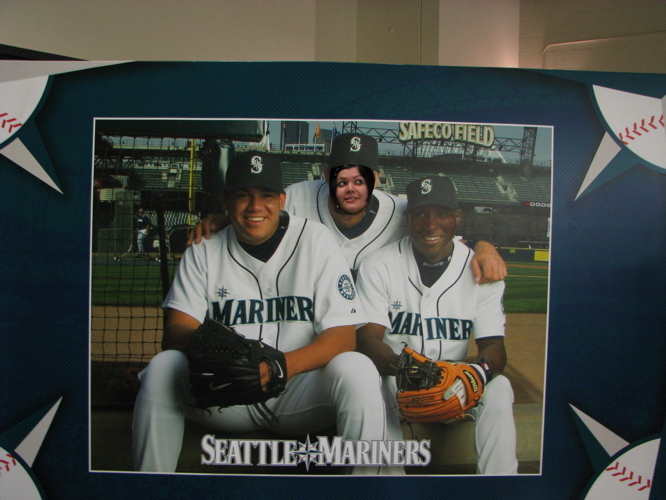 This was from FanFest 2009. My head looks very small. I’m not much of a camera person, and don’t enjoy having my photo taken – pretty much every photo taken of me in the past few years features me making some sort of obnoxious face. My friend Jenny took great pains for a while to con me into doing this, and I didn’t want to look at the camera. It was also the day of our first glimpse of Franklin Gutierrez, Aaron Heilman, and Tyler Walker. One out of three isn’t bad, I guess. This was (obviously) in celebration of Adrian Beltre hitting for the cycle in a game against the Texas Rangers a few days prior. 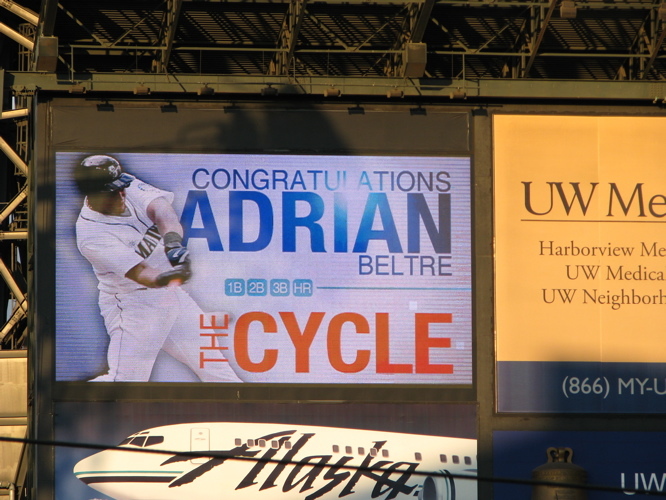 Beltre received some sort of accolades/award during the “On Deck Show” before the game – it was also Brandon Morrow’s legendary start against the New York Yankees. It might not have necessarily been a truly legendary start, but I’ll always remember it that way. Pitchers and catchers report in only a few days. Spring Training starts in two weeks and change. Opening Day tickets go on sale in a few weeks. Let’s get this party started!